Since it's Christmas week and there isn't a ton of wrestling news out there, I figured I'd cover "THE STORY" in the weekly. It's pretty much how Jimmy Van told it on the recent List & Ya Boy #102 Podcast. Fightful gained access to WWE Raw and Smackdown Live run sheets earlier in the year, but started posting the info within them the night after WrestleMania. This led to us posting the actual run sheets on Fightful Select's premium service several times as an incentive for some to join the service. We'd get access to them often an hour before the show, as far in as 20 minutes in. They contained a list of the night's matches, planned vignettes, commercial break spots, snipes at the end of shows, and a lot of other info. On occasion, producer and referee info would also be included, but that was information that Fightful already had access to well before anyway. Several stories came from these. Returns, debuts, scheduled pay-per-view matches that we'd post full stories on at Fightful.com, along with a rundown of the event. The posting of the sheets themselves were pretty inconsistent and usually only done when there was a time crunch. WWE was well aware of what Fighful was posting as far back as April. Up until then we'd had an inconsistent relationship with the company, as we cover wrestling full time, WWE sometimes limits access to websites like ours. They do this in hopes that we'll aggregate stories from outlets that they do grant access to, in effect feeding two birds with one scone. This also gives them the ability to restrict the type of questions that are asked of their wrestlers, something for some reason they feel like they would have a problem with from wrestling media, even though every NXT Conference Call goes beyond smoothly. Speaking of those, prior to the run sheets, I actually wasn't being invited on those calls. I'd reach out to WWE PR at the beginning of the week of NXT shows and was told that a lot of outlets are grandfathered in and several other reasons that were eventually cleared up and are no longer issues now. The point being that the access was already being limited for whatever reason it was -- things I'd reported on, the age of our site, traffic -- it's speculation, but there were limitations. In the summer, Fightful broke a story about Paul Heyman writing Roman Reigns & Bobby Lashley segments based on information that was listed on a run sheet and sought a confirmation from WWE before running it. WWE acted like they weren't aware we'd been getting the sheets, asked where the information was sent from and within a few hours of the request for confirmation, Fightful had received cease & desist letters from WWE legal, demanding that the scripts be removed. 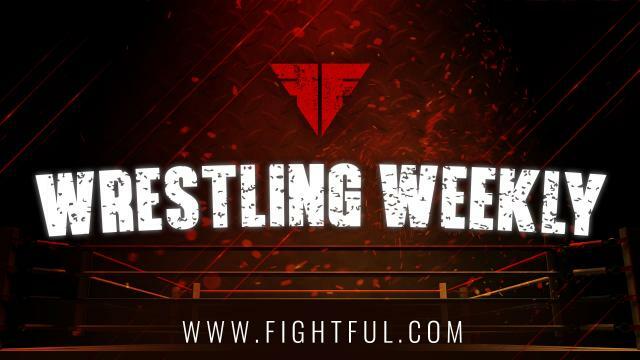 Fightful went back and forth with WWE legal, and eventually agreed to remove the scripts that were posted verbatim behind a paywall on Fightful Select as a way to maintain a positive working relationship with WWE. Shortly after, WWE had demanded to know the sources of the run sheets, something that would have compromised the journalistic integrity of the site. Fightful did not have a non-disclosure agreement with WWE and had no obligation to reveal any sources as it related to run sheets or any additional backstage info we've received. We continued to run news on Raw and Smackdown spoilers throughout the year (and still did, as recently as Mustafa Ali vs. Daniel Bryan being set for Smackdown), and by that point barely used information from the run sheets anymore outside of the occasional working title for the program. We did learn, however, that towards the end of Summer, WWE made significant changes to run sheets that they would distribute. They moved away from listing names of segments and producers, instead opting to go with a more vague "superstar vs. superstar" option in an effort to keep their show's contents a secret, which is their right to do so. We'd heard from some in the television industry who were angry about this move and filed complaints because the run-sheets were too difficult to follow. WWE legal and Fighful ceased communication about a week after first contact, and since the communication we've maintained a fairly positive relationship with WWE while still reporting objectively. When Fightful sought interviews to promote WWE Starrcade, they provided us with comped tickets, and we're regularly sent press releases and NXT media call information. After ceasing to post information from the run sheets, Fightful has broken several stories about happenings planned for Crown Jewel, AJ Styels' WWE negotiation, Becky Lynch being pulled from Survivor Series and that fallout, Daniel Bryan's WWE contract updates, WWE Raw's overruns ending, Triple H's pectoral injury, Performance Center coaches, as well as tons of backstage news. Our goal is to provide our viewers with great exclusive news in a professional yet entertaining manner, while still covering all of the news that isn't exclusive to us as well. Some asked if the fact that WWE announced the Mustafa Ali vs. Daniel Bryan match shortly after we reported it was a response to this, it wasn't. It was a huge coincidence, and I'm pretty sure that WWE had no idea that we had reported it or that we even knew. Another story told on List & Ya Boy 101 was a funny one, and followed up on a Figure It Out episode where Zack Ryder and Curt Hawkins actually motivated me to hit up a Cincinnati toy store. Ryder was rejected in his offers to buy an LJN prototype Sgt. Slaughter. Fightful Owner Jimmy Van -- a noted LJN collector, was able to come to terms to buy the figure, and it was driven to Toronto a couple of weeks ago. Jimmy actually spoke to Ryder about it, who was in disbelief. When I posted that Jimmy was talking about it on the air, Ryder (presumably jokingly) wrote back "click bait city."